Archives of Eaton Bray News for May 2013. This article was published in May 2013. Please see Latest News for more recent information. 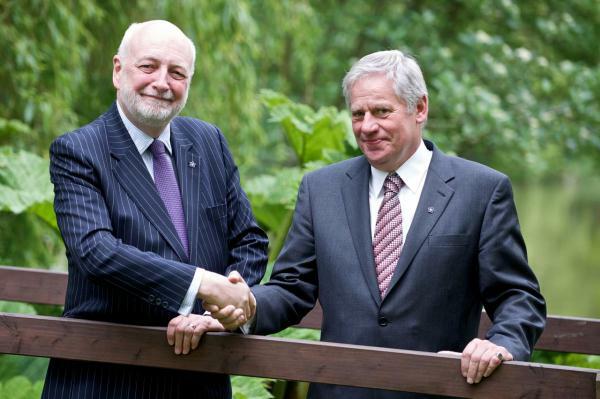 Gordon Johns took over as the sixth chairman of the Lymphoma Association trustees on Saturday (18-May-2013) at our AGM. He has been a trustee since 2011 and follows Richard Morris, who served as chairman for five years. 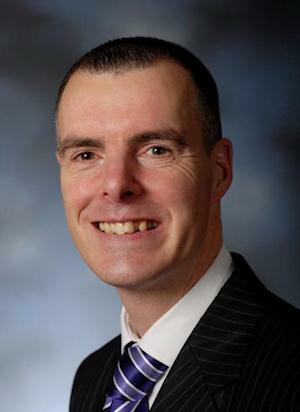 Gordon spent his entire career working in the financial services industry in the City of London – including 10 years as chief executive of an investment management firm – and now devotes much of his time to charity and community work. In addition to his role as our chairman, he is a non-executive director and vice-chairman of Bedford Hospital, a trustee and investment advisor to a charitable educational trust, chairman of Eaton Bray Parish Council, and secretary of Aylesbury Advanced Motorists, and recently stood down from the chairmanship of Bichon Frise Rescue, a national dog rescue organisation. 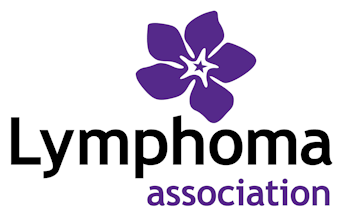 The Lymphoma Association is a registered charity working to ensure that everyone affected by lymphoma, the UK's fifth most common cancer, receives the best possible information and support, treatment and care. Gordon Johns is also the current Chairman of Eaton Bray Parish Council. From October 2013 there will be changes to the way that you can protect your details on the electoral register should you not wish them to be sold to third parties. There are two versions of the electoral register - the full register, which only certain organisations can access and the edited register, which anyone can buy. Your details will appear on the edited register unless you ask for them to be removed. Currently 117,000 people within Central Bedfordshire Council area have requested their name and address to be excluded from the edited version of the register. In the past we carried over requests to be excluded from the edited register, but we will no longer be allowed to do this. If you want to have your details permanently excluded from the edited register you can write to us at Priory House, Monks Walk, Chicksands SG17 5TQ or email us at [email protected] making a permanent opt-out request. Please ensure that you state your full name and address and that you wish your details to be excluded from the edited register on a permanent basis or until further notice. A separate request is required for each member of the household if they also wish to be permanently omitted from the edited register. Something different for your diary, please support this local festival and help make it a success by making a date in your diary and buying a ticket for one of the evening events. Or you could also support 'Friends of the Church on the Hill' by joining them for one of the many daytime activities and entertainment throughout the course of the weekend 7th 8th & 9th June. 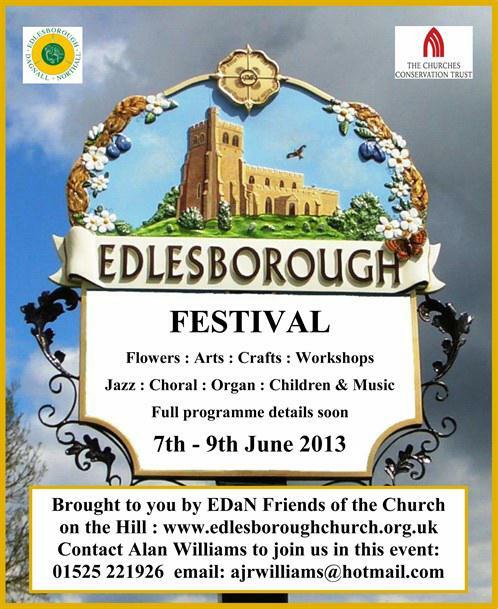 For more information and to see the full programme of events, see the Friends of The Church on the Hill website. Date and Time: Wednesday 15th May, between 3:30 and 5:00 a.m.
Crime Reference: J D / 1 7 2 0 1 / 2013. The offender has gained access to the side of the house, forcing the lock to the kitchen door. A motocycle helmet and two sets of vehicle keys have been taken from the house. A motorbike has been taken from the driveway, and the garage door has been opened. The car has been taken from inside the garage. Keep Doors and Windows locked at all times. Remove all keys from the locks and keep them in a safe place out of view. Keep garden tools locked away to avoid them being used to force a door, or window. Dont leave out anything that can be used as a climbing aid, either to reach a window or into a neighbours garden. If your house will be empty after dark leave a light on or set a timer. This year the budget for Bedfordshire Police is £102.8million. That sounds like a lot of money until you remember that budget will have been reduced by £19million by 2015 due to the government's 20% cut to the police grant, a further £24million a year is lost to the Force because Whitehall doesn't give us what their own funding formula says we need, and the amount we pay locally for policing through the council tax is well below the national average. So Bedfordshire Police is a rurally funded force that faces some distinctly metropolitan challenges. Bedfordshire Police staff and officers have therefore performed remarkably well reducing recorded crime across the county by 15% in the last year (1899 fewer across Central Bedfordshire as a whole) at the same time as going through significant re-organisation and a reduction in the number of police officers due to the budget cuts. The government will unveil a new spending review shortly, which is expected to herald yet further police cuts. I am opposed to such cuts but my role is to deal with the world as I find it rather than as I would wish it to be. So the challenge for the future for Bedfordshire Police, and indeed for all of us, is how do we keep our communities safe at a time when the budget is still be shrinking? The answer is that we need to forge a closer and stronger partnership between our local communities and their police and all recognise the police cannot and never have been able to fight crime on their own. Wherever we live in the county we all have a duty to support the police if we want our communities to be safe, whether this means passing on information about criminal activity, being prepared to support the local Neighbourhood Watch, Street Watch and Speed Watch scheme or, for the most committed, volunteering as a Special Constable so that each community has a visible policing presence. There must be a genuine partnership, so Bedfordshire Police will work hard to value the support communities and volunteers give. Whereas in the past such close partnership has always been desirable, in the future it is clear that it will be absolutely essential, which is why this is such a priority for me as your Police and Crime Commissioner. Eaton Bray Cricket Club is appealing to any young, budding cricketers to join its ever-growing youth section. Now in its 3rd year and with over fifty 6-14 year olds training and playing on a weekly basis, the club requires even more youngster to boost numbers! Ability and experience is not important, the club provides a fun and safe environment in which to enjoy cricket. 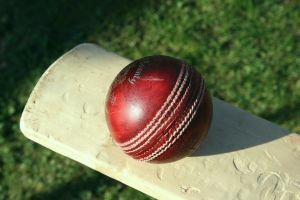 Training sessions are taken by four fully qualified Level 2 cricket coaches, each Wednesday. 6-7pm for 6-10 year olds and 7-8pm for 11-14 year olds. The adult teams also continue to seek new players, so please get in touch if you are interested in joining a very enthusiastic, friendly village cricket club! It has been another busy month for the Eaton Bray & Edlesborough Lions. The Easter Eggs that we had distributed around the villages to be raffl ed were gratefully received by the winning ticket holders and the proceeds from these raffl es raised just over £350.00 which will enable the club to purchase high viz waistcoats for Edlesborough primary school children. Thank you once again to everyone who supported us. Our Lions Club received the opportunity to team up with the MK Dons Football club in recognition of their 'ability counts' day on Saturday 6th April. We took 85 individuals along with us to watch the match against Crawley Town. The group consisted of 10 Lions and 75 individuals with varying degrees of disability, both physical and mental. The Dons were promoting their various disability teams and a parade from the athletes was enjoyed by all during the half time interval. The day presented us with a number of wonderful opportunities. Initially, the ability to take these people, who would otherwise perhaps never get to see a live football game, to the match was priceless. In addition to this, being able to link up with a football team and to receive all of the subsequent promotion was an incredible boost for our organisation. The Dons were equally delighted with the day, despite the nil nil draw, and we hope to be able to run similar events again in the future. Our monthly free delivery service of fish and chips continues and we are delighted to report that we are picking up new recipients every month. It is wonderful to know that this small act of community service by our club is being enjoyed by so many of you by calling Rachel on 01525 229 656. You are viewing the May 2013 archive.